"Drew Gray has been much more successful as White. 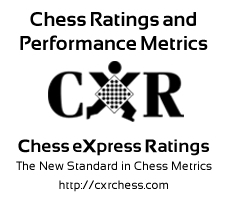 Rapidly rising rating reflects player's true strength. High draw percentage suggests aversion to risk-taking. Drew has faced opponents with an average rating of 483.7. Drew should seek opponents of equal or greater strength in order to improve. Drew Gray has improved by 351 points since 2017-10-28. "